A full eternity ring with Baguette Cut diamonds channel set vertically around the 3.9mm band. 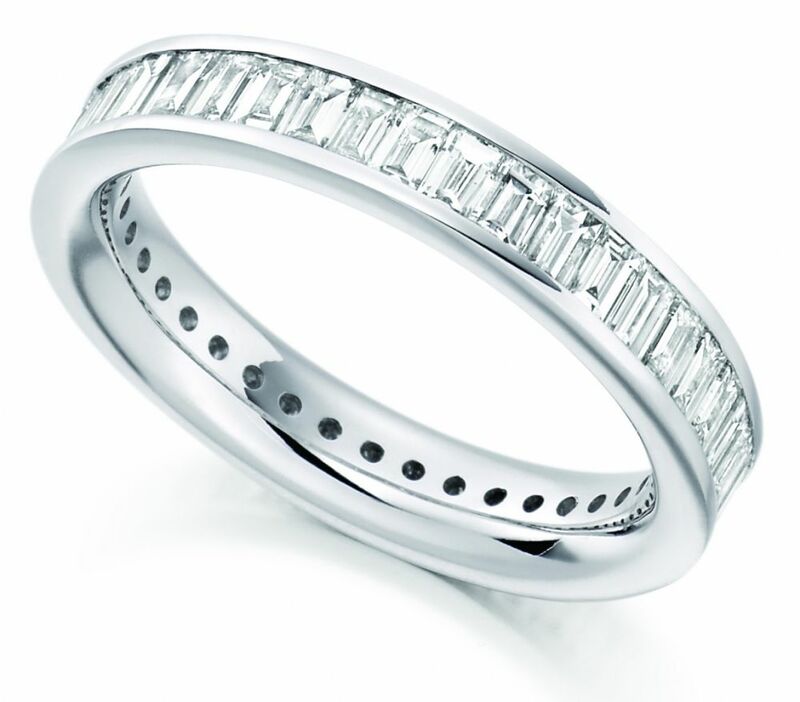 This fully set Baguette cut Diamond Eternity Ring is made up of a total of 2 carats of Diamonds, which have been matched by our expert graders. The Diamonds have been graded as F/G in Colour and VS in Clarity with a stunning whiteness and beauty that really dazzles. Set into a secure channel this ring offers ease of wear and comfortable everyday elegance. 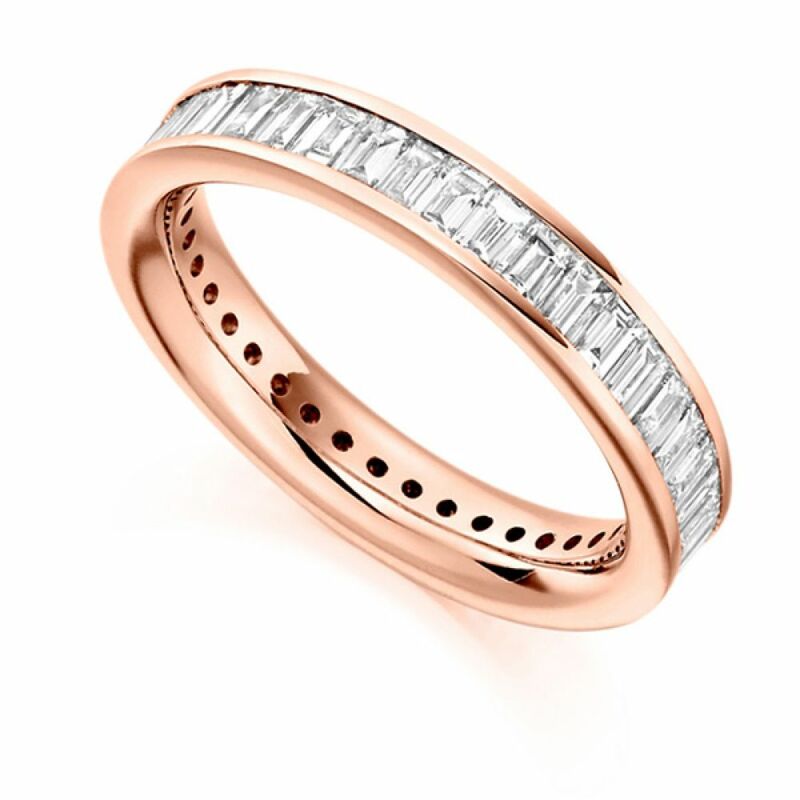 The band is 3.9mm in width which beautifully complements the vertically set Baguette cut Diamonds which are securely set into the band. This particular ring design can be created for you and at your door in 3 weeks in one of our elegant finishes. You can choose from 18ct White Gold, 18ct Yellow Gold, 18ct Rose Gold, 950 Platinum, and 950 Palladium and all delivered by insured courier with the added reassurance of our 60-day return policy. Packaged in our pristine white presentation boxes, you can be comfortable in your choice with Serendipity Diamonds.